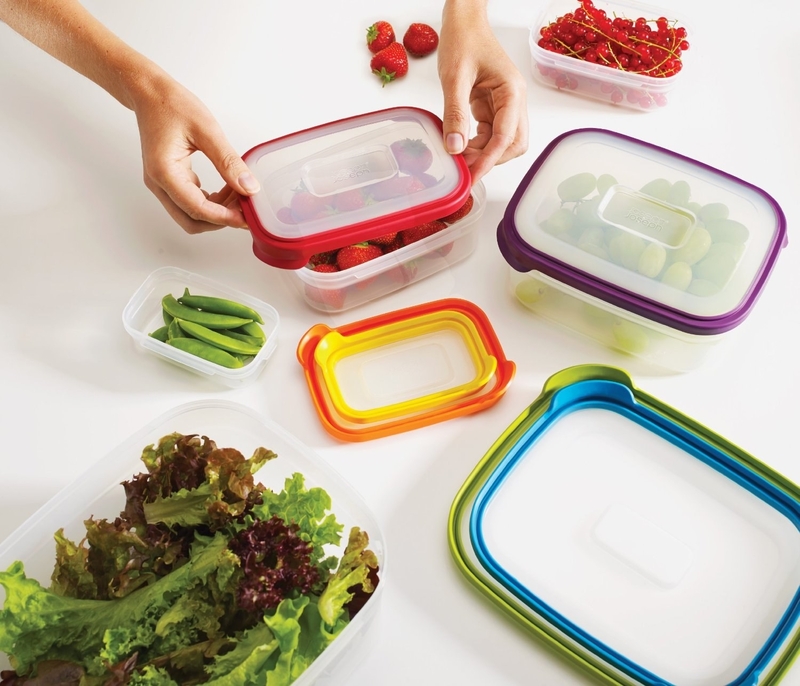 Organizing products, a wildly popular hot honey, reusable bags, and tons more that you're going to want for yourself! 1. 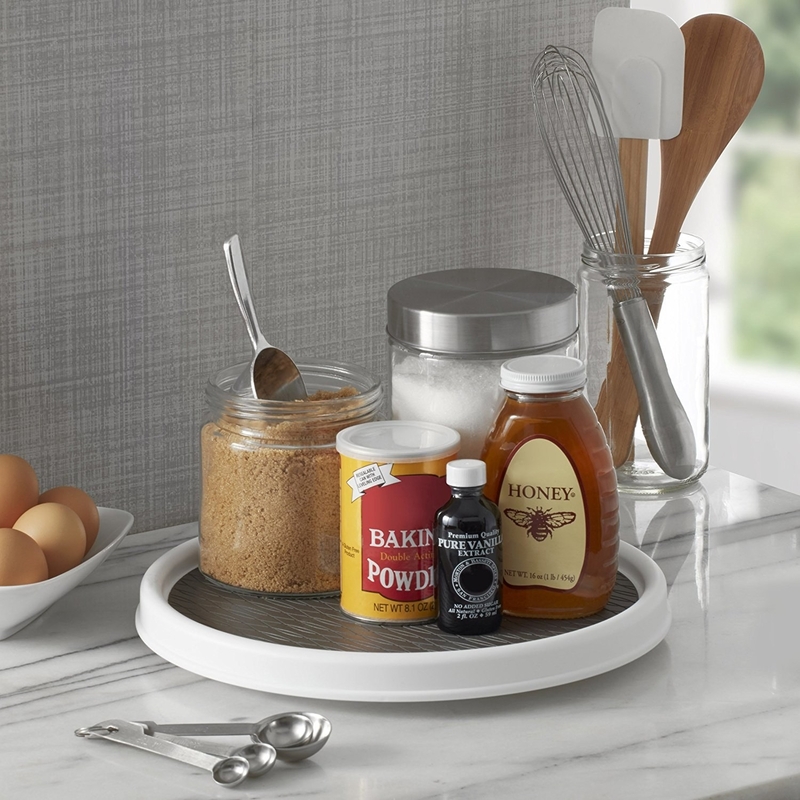 A Lazy Susan turntable that'll organize cluttered cabinets and countertops so you can easily find what you're looking for. 2. A mini griddle you can use to quickly whip up eggs, pancakes, and other goodies. 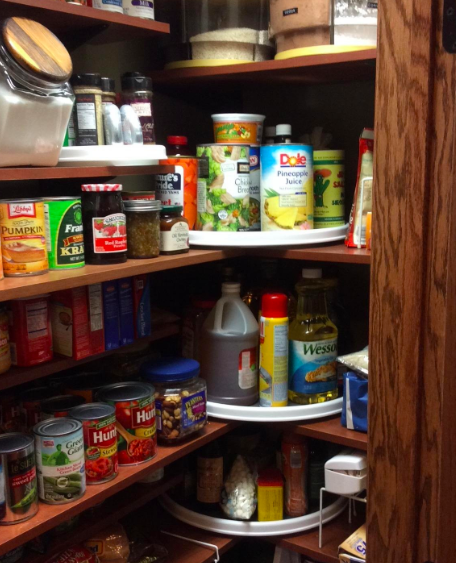 Plus, its single-serve size means cleaning up will be a breeze. 3. 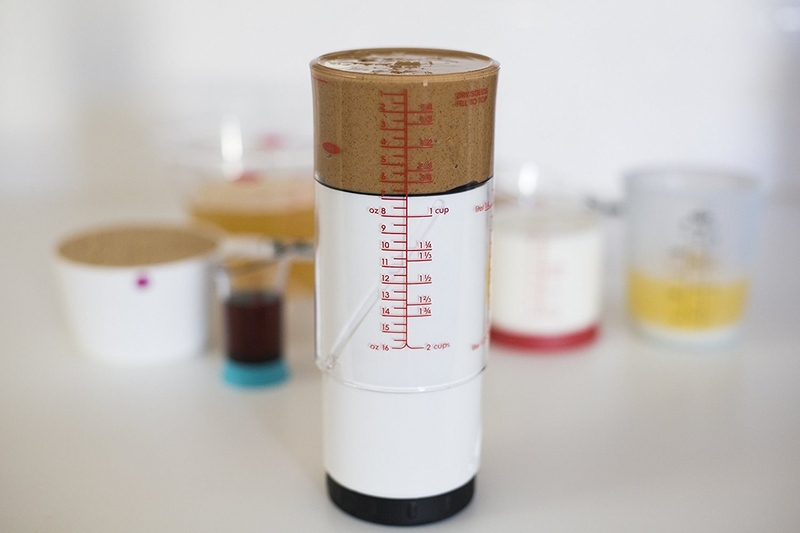 An adjustable measuring cup with two measurements (cups and ounces) so you can rid your drawers of all those random plastic sets and save some darn room. 4. A simple splatter screen because nobody actually wants to ruin their white shirt or dirty their freshly-cleaned stovetop with tomato sauce. 5. 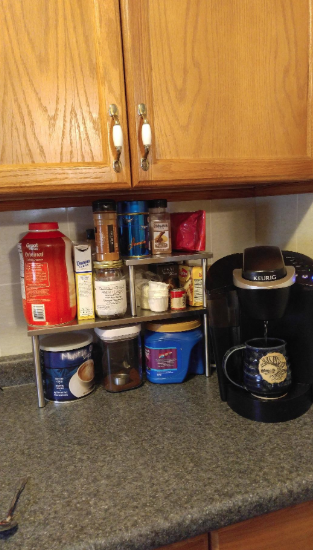 A two-tier organizer for kitchen counters (or bathrooms!) that will help free up some important space. 6. A collapsible, microwave popcorn popper for taking movie nights to an entirely new level because you have the freedom to customize the kernels with as much butter, oil, and seasonings as your heart wants. 7. And! A bag of non-GMO red popcorn to satisfy any popcorn aficionado who walks through your door. 8. A dishwasher magnet you can switch back and forth to indicate if the dishes are clean or dirty — sooo now you don't have to wonder if you're eating off a dirty plate! 9. A roll-up drying rack because countertop space is crucial real estate that *cannot* and *should not* be taken over by tons of dishes. 10. 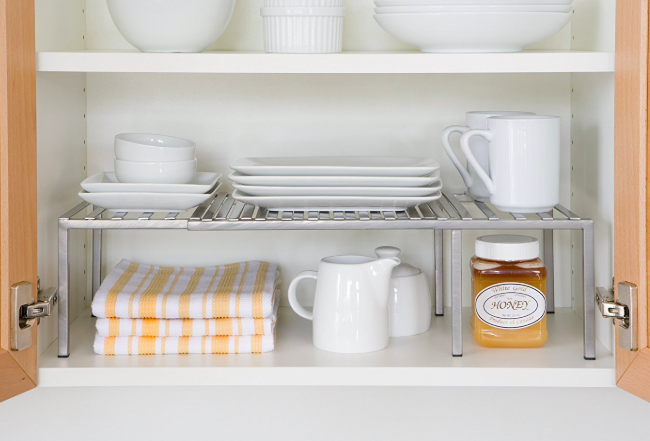 An expandable shelf that'll let you *safely* stack your dishes so you don't have to pull an arm muscle trying to reach that one plate at the bottom. Plus, it'll give you so much more cabinet space! 11. A pack of reusable silicone baking cups you can throw into the dishwasher after use. 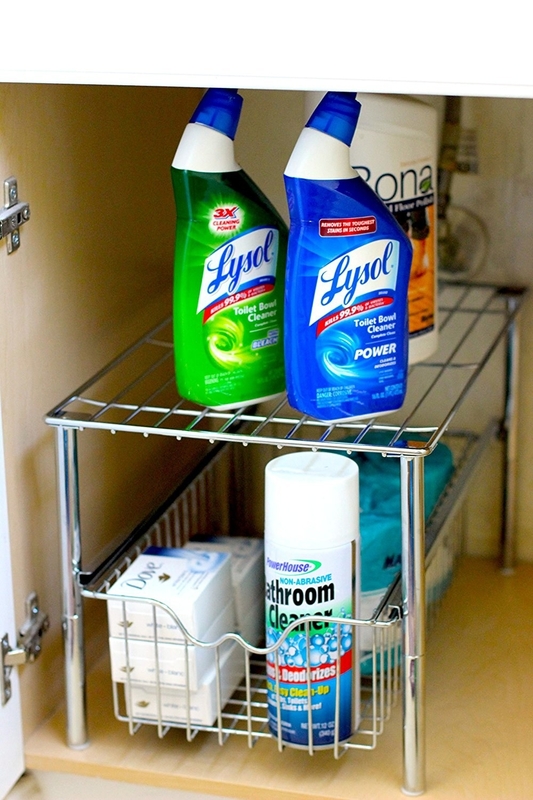 These will save you money in the long run and help reduce trash; DOUBLE WIN. 12. 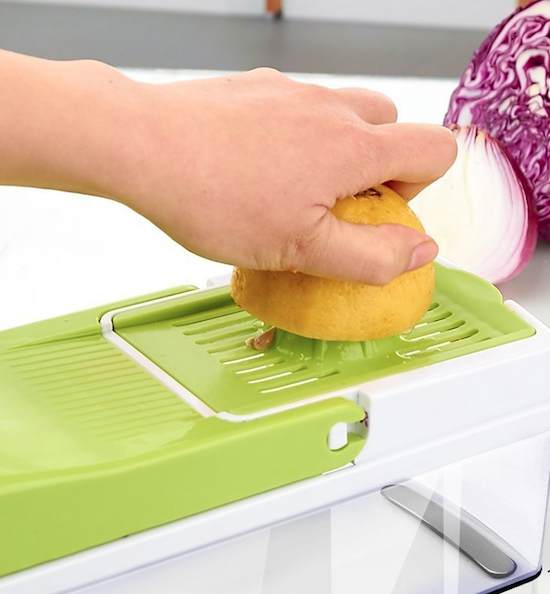 A multipurpose food dicer with seven interchangeable blades that makes chopping, slicing, and grating easy peasy lemon squeezy — no really, this thing also has a juicer attachment! Promising review: "I have a mandolin slicer, and love it. The only problem was, well, while it did its job, this also did that same job, and the job of my slicer/chopper, and a juicer. And this is a compact, all-in-one package that doesn't take up all the real estate like the separates take up. This shreds cheese, makes French fries, slices cucumbers, and juices my oranges. Using this all-in-one makes buying in bulk more effective, is cheaper, and then creates nicer looking meals. 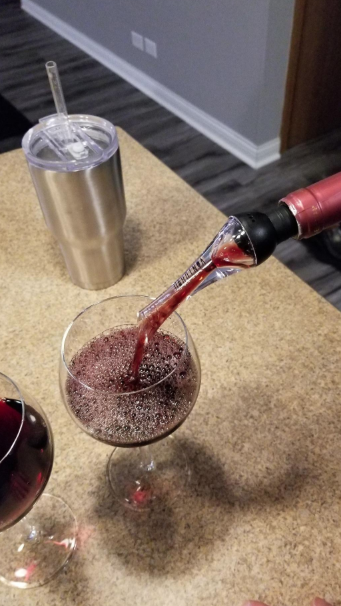 This is sharp, but safe as long as you use it properly." —James Robert Ratay, Jr.
13. A highly-rated spoonula to assist with a variety of cooking needs like scrambling eggs without scratching your pans or scraping out that last bit of brownie batter (because every last drop counts!). 14. 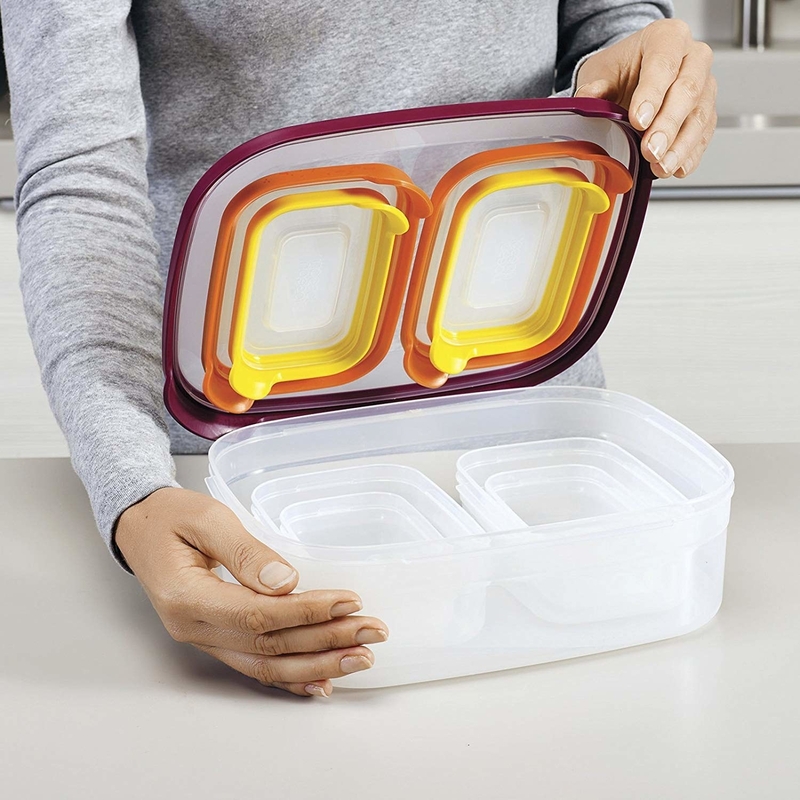 A set of nesting food containers that'll keep your leftovers fresh and your cabinets free of those random plastic lids. 15. A family cookbook for keeping your best passed-down traditions in one place. This book comes with templates for over 80 recipes and places to add personalized photos. 16. A fume-free oven cleaner because you shouldn't have to burn your nose and eyeballs with strong cleaners just to get your oven looking brand new again. 17. A meal planning pad to make trips to the grocery store so much easier. You'll also waste less food since you're only buying what you know you need. 18. A pack of reusable and compostable (!!!) beeswax wraps that'll save you some change down the road and let your conscious rest knowing your reducing plastic consumption. If you're looking for other ways to reduce plastic use or wondering how else you can get involved with this important mission, *please* check out Break Free From Plastic. 19. 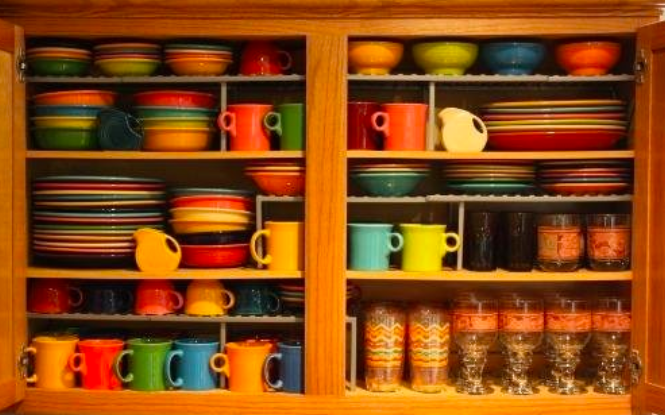 A cabinet organizer with a handy drawer so you can finally declutter that disastrous mess under the sink, and find what you need without having to dump everything on the ground. 20. A knife sharpener because owning dull knives is totally ~pointless~. 21. 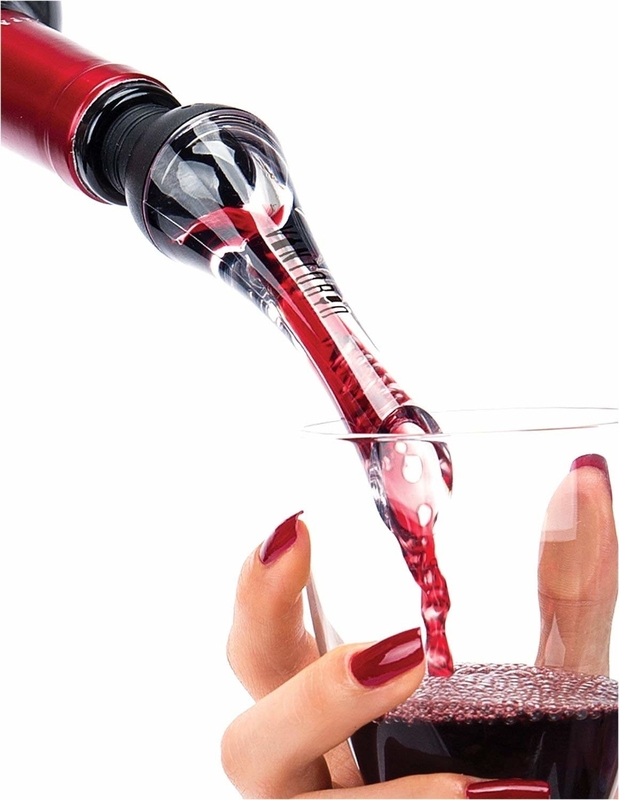 A wine pourer for aerating and decanting your wine, while ensuring it doesn't splash all over the place when you're a few glasses deep. 22. A four-pack of stainless steel drinking straws AND a cleaning brush because it's 2018 and plastic ones are murdering our planet. 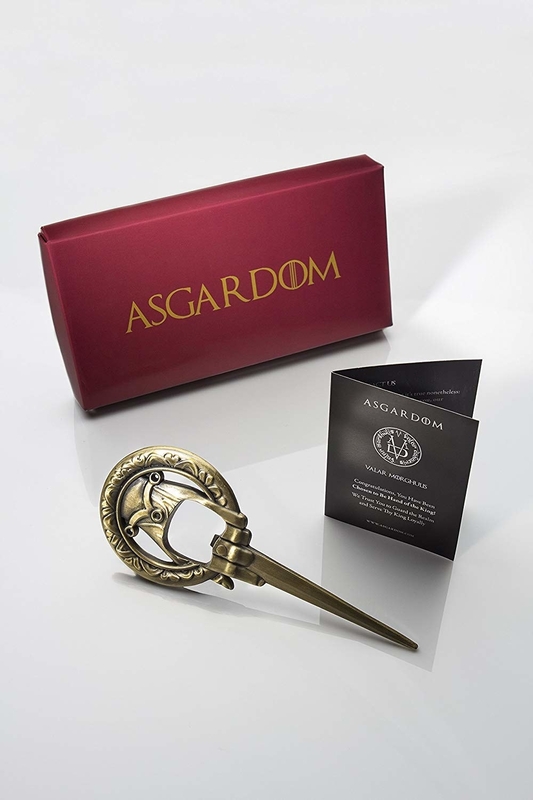 Psst, the tumbler is not included. 23. AND! A set of reusable mesh bags to reduce plastic-use — and to save you time because those thin produce bags are impossible to find anyway. 24. 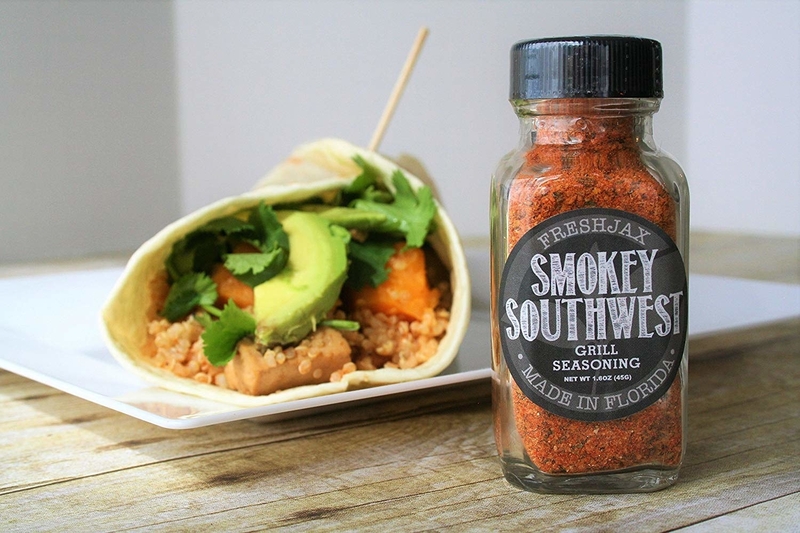 A grilling spice gift set with five special seasonings you can use on whatever your heart desires — like, oh idk, southwest tacos!!! Honestly gift this to YOURSELF. 25. A variety pack of chickpea pasta that'll transform how you think of noodles! These are high in protein and low in carbs (when compared to traditional pasta), and still manage to taste delicious. 26. A packet of produce-saving sheets you can stick in berry cartons, fridge drawers, or fruit bowls to keep your food fresher for longer. These sheets are naturally made and can keep fruits and veggies fresh up to two times longer! 27. 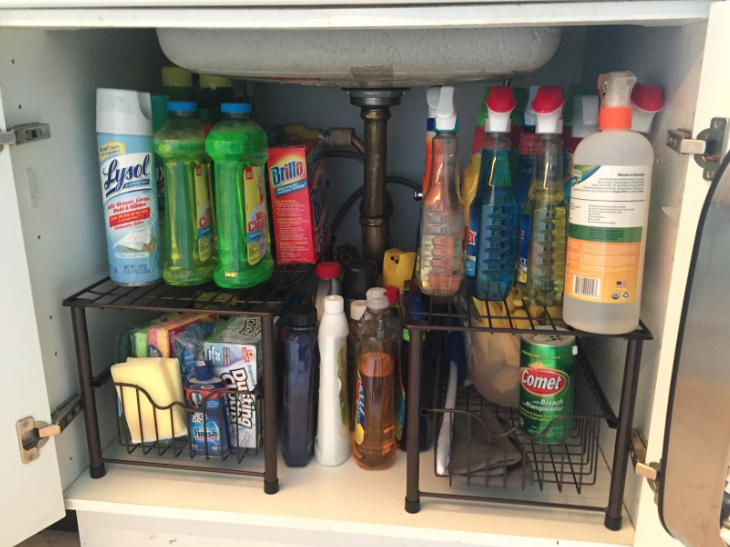 A simple caddy for organizing your dish-cleaning essentials...and for keeping sponges out of your germ-ridden sink. Sinks are filthy places, people! Don't leave your sponges just chillin' in there. And since sponges themselves also get filthy, this caddy can be taken apart and tossed in the dishwasher for a good cleaning. 28. An adorable set of kid-safe knives that can actually cut food (but not skin!) so their cute lil' hands are protected from the evils of sharp blades. 29. 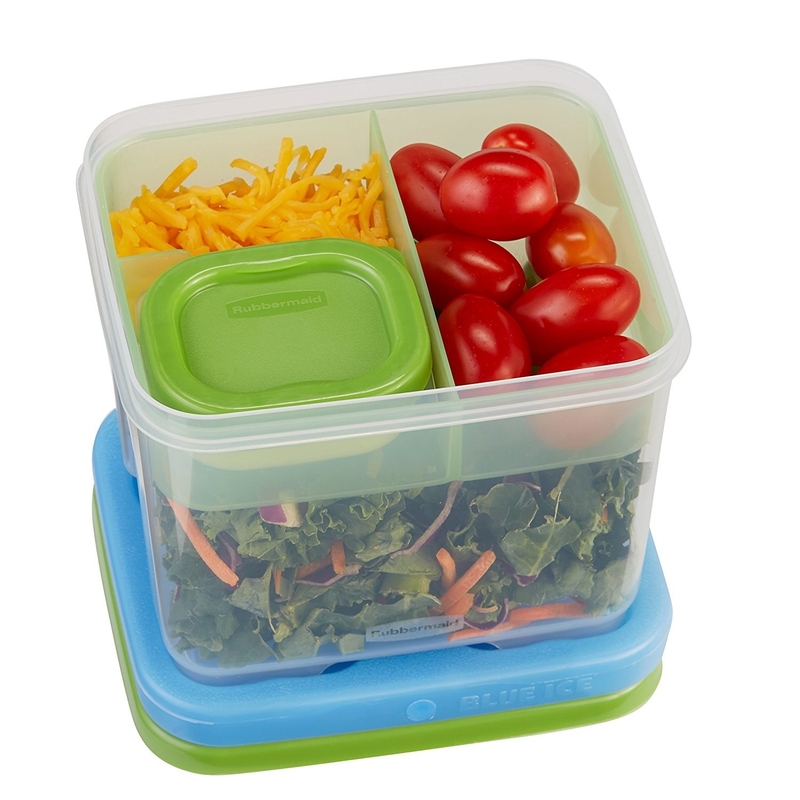 A salad kit container because you deserve more for lunch than soggy lettuce. 30. An attachable pull-out bin to transform your refrigerator from drab (and very cluttered) to fab (and organized). 31. 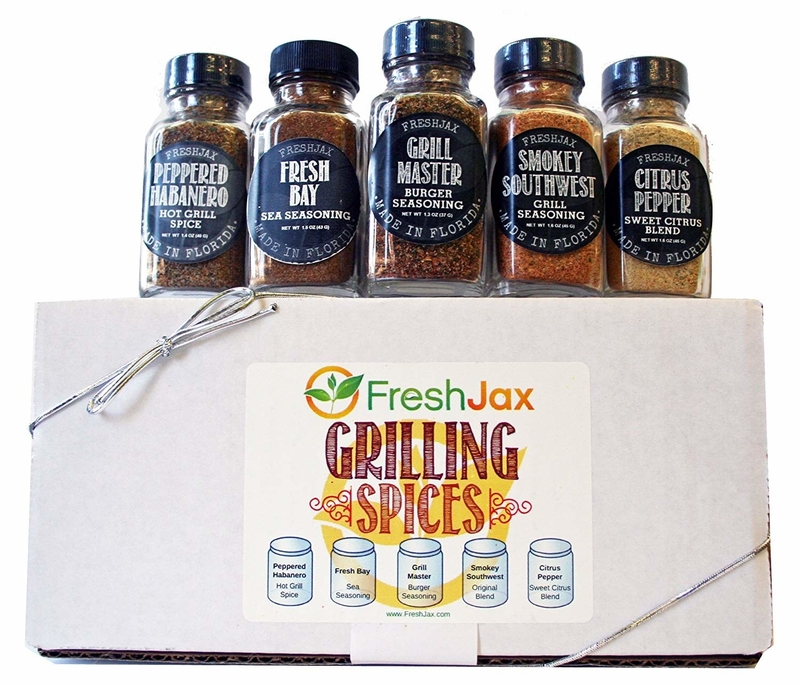 A sleek spice rack with empty bottles and labels so you can choose what spices to fill them with — which basically means you don't have to spend the $$$ on ones you'll never use! Some reviewers (like the one on the right!) got creative and ordered chalkboard stickers to add a little custom flair to their jars. 32. 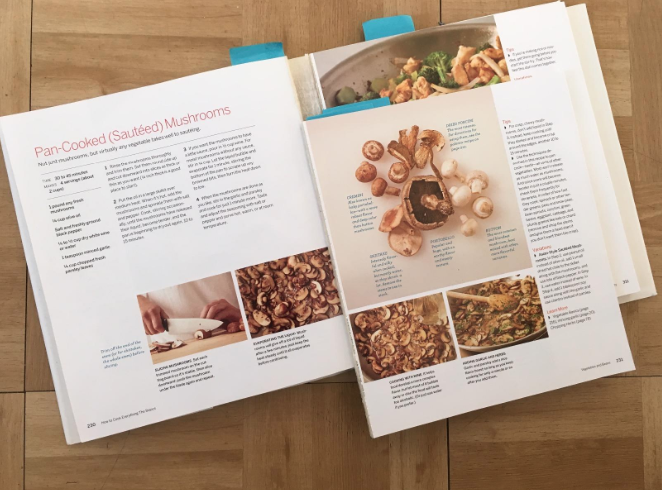 A cookbook you'll never want to part with considering you only need FIVE ingredients to make all the tasty recipes in here. 33. AND! 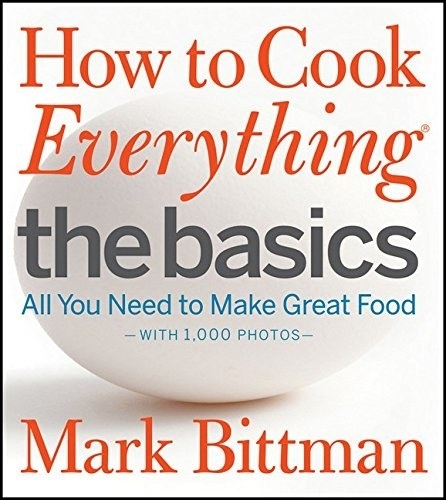 This cookbook that'll teach you all the basic skills you need for cooking from fundamental techniques to delicious recipes. 34. 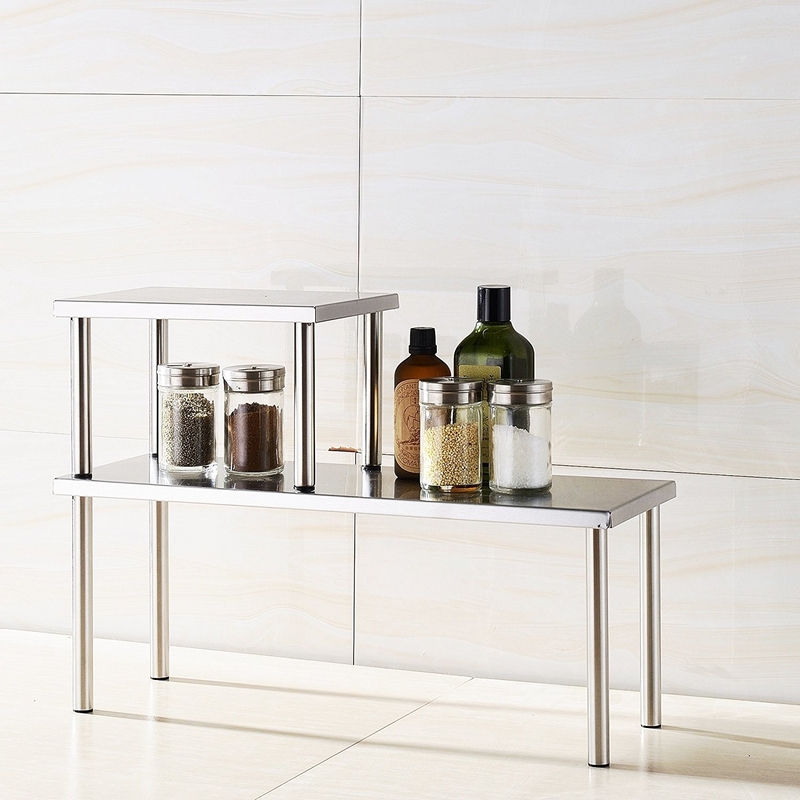 A caddy with lil' suction cups that stick onto the side of your sink so your sponges and brushes can *actually* dry. 35. 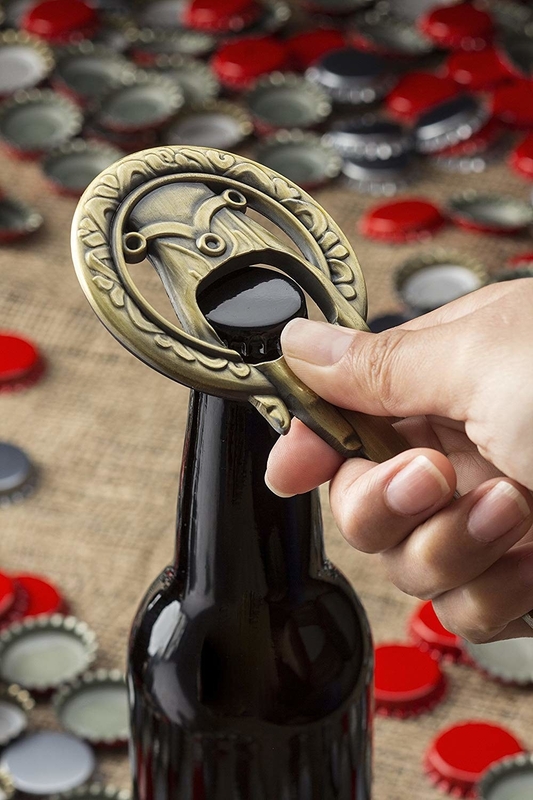 A "hand of the king" Game of Thrones bottle opener so you can crack open a beer and anxiously wait for the final season to come out. 36. A stylish, stainless steel travel mug for on-the-go mornings. It's vacuum-insulated so it'll keep your beverages hot for up to five hours, or cold for 10 hours. 37. 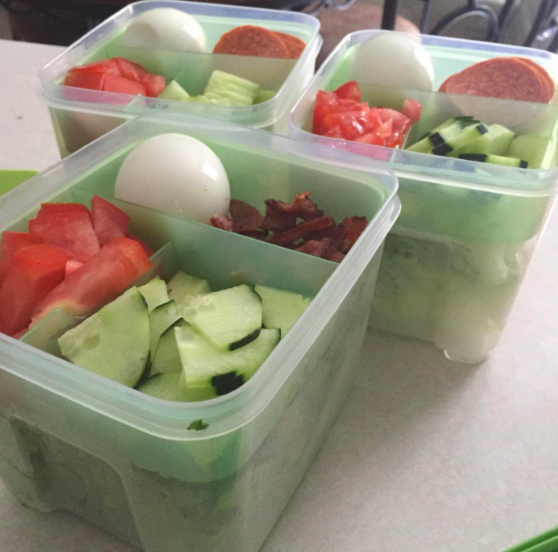 A miracle-working food container that'll keep your produce fresh for way longer than traditional methods — no really, my coworker took these photos and swears by these things! 38. And lastly, a bottle of wildly popular hot honey for adding a sweet and spicy flavor to any meal! Put it on pizza, burgers, ice cream — whatever you want, the world is your oyster (maybe those too??? )!